You know what, Chainfire’s Auto root tool is kind of a go-getter for Samsung devices for quite some time. I remember waiting for the Chainfire to provide the new CF-root packages for the Galaxy S (the S1, GT-i9000) when an update would come out, because he would need to patch the image before providing it over at XDA for download, so that we can have root access on the new update. There was no SuperSU, and TWRP wasn’t even born. We had CWM, yes. Those were the days! Anyway, the CF Auto Root has stuck around, even though the game has seen some new entrants now. You can easily root using Magisk now, while Chainfire’s own SuperSU does the job on any device if you have TWRP recovery. But you know what, Chainfire decided to bring back the old game, only that it’s super-automatic now — such that you select your firmware version, and create the patched CF-auto-root image yourself, download it, and install it via Odin to get yourself root access even without TWRP. Super-duper-awesome, right? Well, that’s made possible by the firmware.mobi, a tool, with its own website, that allows you to get root package for your device effortlessly. Well, head to the homepage of the firmware.mobi website here. Now, begin with selecting the device — write your Samsung device’s (Google’s Pixel/Nexus line is supported too) model no., and select it from the list in the drop-down, and then hit submit button. Now, select the firmware you have installed on your device, and then follow the rest of the guide to get yourself a root package — the default options work pretty good, and you don’t really need to customize a lot — that is downloadable in .TAR, .ZIP and .IMG formats. Here’s the XDA thread for all discussion regarding firmware.mobi. 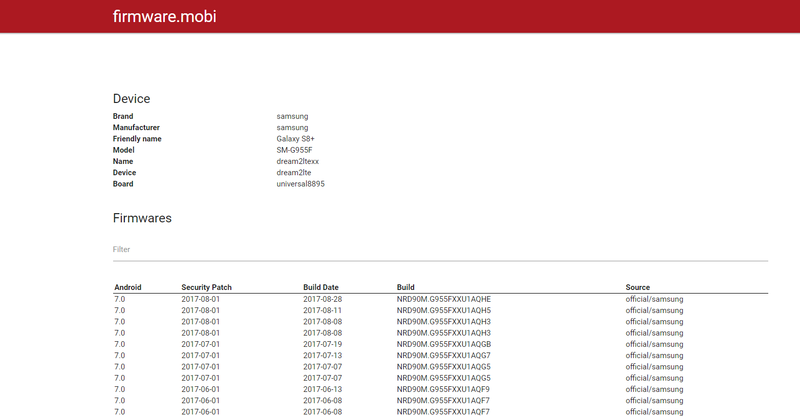 Do let us know about what you thin about firmware.mobi tool by Chainfire. Rooting your favorite samsung devices like the Galaxy S8, S7, S6, Note 5, Note 8, J5, J7, J3, A5, A7, A3, C5, C7, C9, etc. just got a hell lot easier. Have fun! If you feel like it, you can make some donation to Chainfire for this using details given here.